Although we are now working across Europe, we have not forgotten how it all started. As a practice laboratory we got to know the processes in the orthodontic practice and the interfaces between the laboratory and the practice very well. And we have learned to eliminate the friction points. Many customers are retelling us about a lot of small and big time-eaters. Those, which can really spoil the fun at work. They feel that the bureaucratic and organizational effort in the practice is getting bigger and bigger. Don’t you also want to waste less time and money? That’s exactly where we start. With customized solutions. You will be astonished at what kind of facilitation is possible! We bring back the joy of orthodontics for you. With us you practice burn-out prophylaxis. In order to achieve this, experienced orthodontists, dental technicians for orthodontics and orthodontic specialist from assistance and billing will take care of you. 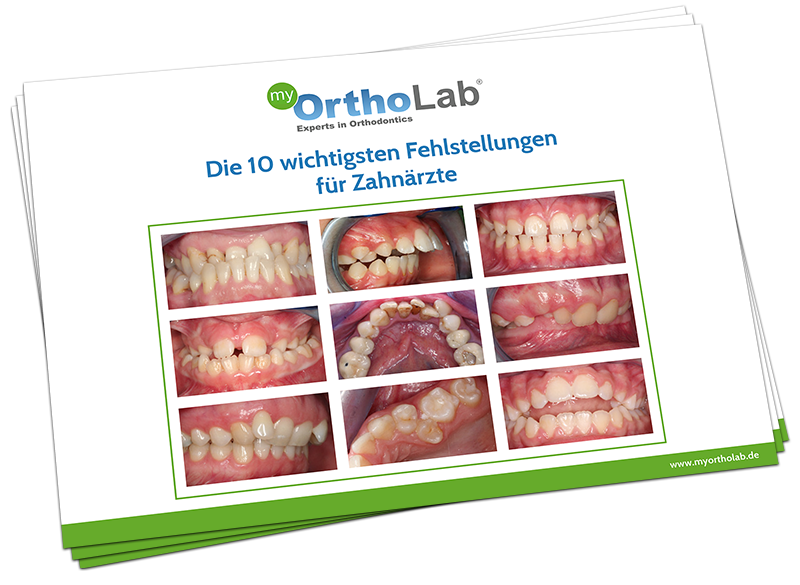 MyOrthoLab works for you in accordance with the orthodontic concept of Dr. Baxmann, which he successfully implements for years in his three practices and constantly develops. Many orthodontists worldwide have already been positively influenced or fully trust this concept. It combines evidence-based orthodontics with the philosophy of “lean thinking”. This means thinking and acting lean and in clear structures. For maximum efficiency. This idea comes from Japan. There they had long time ago recognized the weaknesses of western assembly line work and developed new and better structures. Fundamentals are the strict minimization of waste of time and resources as well as a continuous (further) improvement. Did you know that only about 20% of your work is responsible for 80% of your success? This is called the Pareto Principle. Let us support you, like many other customers too. We help you to find your most productive 20% and take the rest from you. Let us take over the work that you cannot do, must do or simply do not want to do! Concentrate on the essentials. Focus your attention on what you enjoy and on that what you are particularly good at. And be amazed at how much easier and better it suddenly works. Dr. Baxmann is Managing Director of three multiple award-winning orthodontic practices of Orthodentix, the orthodontic specialist laboratory MyOrthoLab and the Orthodontic-e-Academy (OeA). For these activities he was honored by the CEO Today magazine 2018 with the international HealthCare Award. I am particularly pleased about how much my work is appreciated internationally. In addition to his practice activities, he initiated and published numerous studies and book contributions. 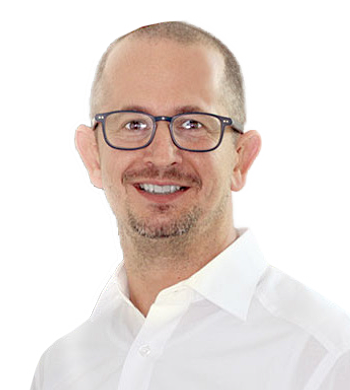 Dr. Baxmann is the editor of the book published in the Quintessenzverlag “Fixed Equipment Class II Therapy”, he develops orthodontic appliances, products, analysis and apps. He holds lectures internationally for years and gives international orthodontic training courses. The combination of practice and laboratory activities, science, product development and education ensures steady increases in efficiency and innovation in all areas. Not only we benefit from this in everyday life. Everyone benefits from this concept. Our patients, our customers and the patients of our customers. He gained his first experience as a consultant in London, he was invited by the University of Seville 2009-2017 to teach as part of the Master courses in pediatric dentistry and orthodontics. In 2012, he developed a one-year curriculum for the Dentistry Chamber of Vienna. Dr. Baxmann’s courses are designed for every level of education, from postgraduate students to experts, from hands-on workshops to in-office courses to comprehensive year-round curricula. Take advantage of our experience, our innovative concept and our attention for you too. Although we are now working across Europe, we have not forgotten how it all started. As a practice laboratory, we got to know the processes in the orthodontic practice and the interfaces between the laboratory and the practice very well. And we have learned to eliminate the friction points. We used to be our own customer in the practice lab. We were the most demanding customer we have ever had. MyOrthoLab works for you in accordance with the orthodontic concept of Dr. Baxmann, which he successfully implements for years in his three practices and constantly develops. We combine evidence-based orthodontics with the philosophy of “lean thinking”. This means that we are thinking and acting lean and in clear structures. Our focus on the essentials not only increases our quality. We also enable you to receive our consistently attractive prices. We are constantly evolving to be there for you with maximum efficiency. This idea comes from Japan. There they had long time ago recognized the weaknesses of western assembly line work and developed new and better structures. Fundamentals are the strict minimization of waste of time and resources as well as a continuous (further) improvement. These improvements are achieved e.g. through targeted and individual support measures of our employees. That in turn reduces the waste of talent. Did you know how innovative we are in environmental protection? Sustainability is one of our foundations. Our planning models remain digital and the working models are printed from fully compostable materials. As a marine godfather of NABU, we help to keep the sea free of plastic. We are also partners of Plant-of-the-Planet. For every removable brace that we create, we donate to planting a tree to reforest the rainforest. For this work, we provide you with a certificate of these measures that you can present to your patient. So that your patients also know that you actively protect the environment. We offer you everything you need for successful orthodontics, make your practice life easier and give you pleasure in your work. We take over annoying work from you. Think about what you can do in the gained free time. We support you in your case planning and optimize practice forms for patient communication. We provide a comprehensive evaluation of all your diagnostic documents. All our processes are carried out completely digital. The patients love our braces configurator. We love to be innovative. Of course we make removable braces for your patients. Use our braces configurator. Your patients will love it! Try our correction splint line, the MyOrthoAligner. Save even more chair time by indirectly gluing with our digitally crafted transfer splints while working more precisely than ever before. Why do we offer such good prices? Because we can. MyOrthoLab is with Dr. med. Baxmann the operator of the “Orthodontic-e-Academy (OeA)”. At OeA you can learn and implement the Dr. med. Baxmann concept in all details immediately. We offer various formats such as classic seminars, year-round curricula for beginners and advanced, dentists and assistants. It’s about you in Dr. Baxmann’s courses. Come as you are. Or you look Dr. Baxmann and team over the shoulder for a few days at one of the popular in-office classes. You and your team can practice learned workflows simply by video tutorial on the OeA YouTubekanal. Over 70% of all tutorials are on YouTube. They are viewed by 80% of 18-49-year olds. And you? Learn online or just follow the blog of Dr. med. Baxmann and do not miss any tips or news anymore. So, you can be always up to date on the road, too. You have an actual case and you have difficulties? Here we help with our mentoring program targeted and discreet. You want more? Then you can also book a single coaching, at your or at our place. Mentoring Instant help in the chat – usually within less than 20 minutes – that is unique to us. 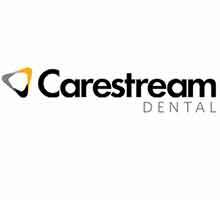 Our offers are aimed at orthodontists, dentists, business start-ups, assistant professions and dental technicians. Everything is possible, contact us. The portal for sound and practice-oriented orthodontic knowledge for the entire team. Research, development and teaching processed digitally and easy to understand. We offer seminars, curricula, in-office and online courses, mentoring, coaching and digital information products as well as an informative blog with YouTube channel.